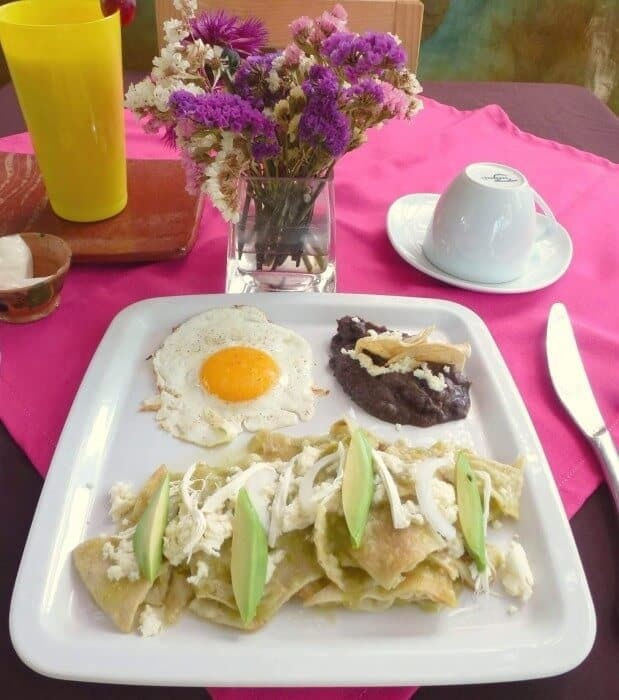 Looking for a great breakfast in Puerto Escondido? A fabulous breakfast lays the foundation for a perfect day and a healthy lifestyle. 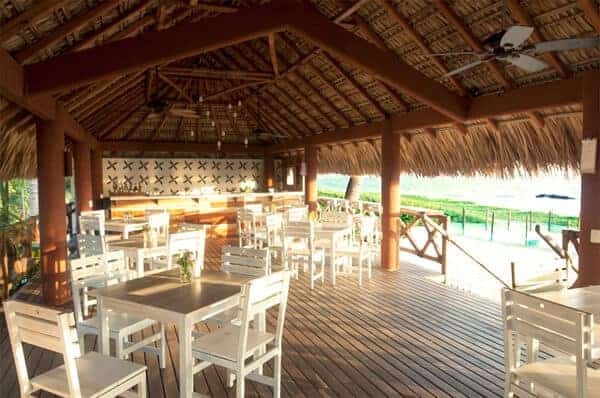 Fortunately, Puerto Escondido has dozens of unique restaurants where you can begin your morning or enjoy a leisurely brunch. 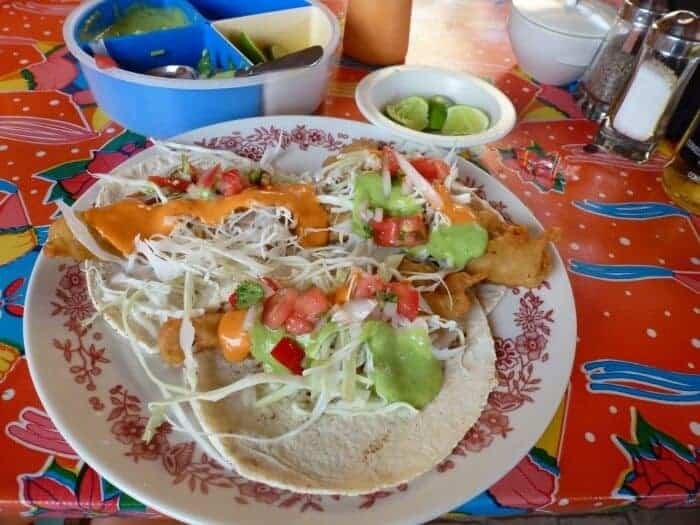 You’ll enjoy breezy ocean views as well as Puerto Escondido’s best bargain on breakfast at Restaurante Doña Claudia, one of a string of cheerful comedores facing Zicatela Beach within Mercado Zicatela. It’s impossible to miss the sprawling, modern building located on Highway 200 in the Zicatela area on the way to La Punta. 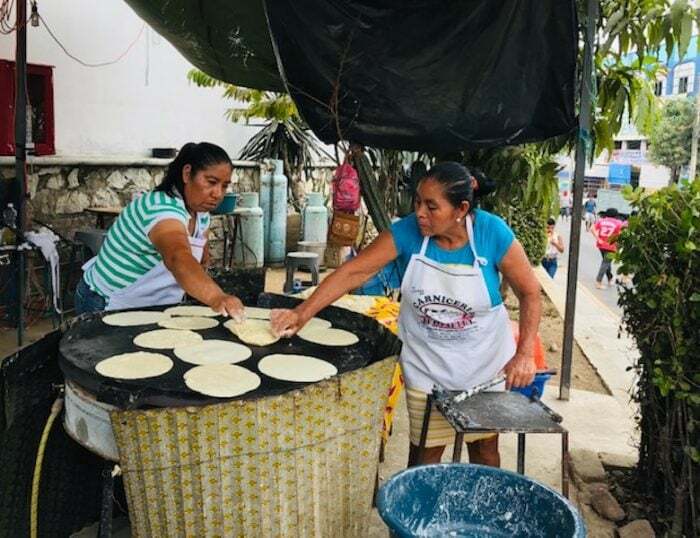 Breakfast is a good way to offer your support to the vendors and shop owners within the shiny new Zicatela Market, which opened officially for business on November 17, 2018. Once you arrive, stroll the walkway beneath the soaring roof to the row of restaurants on the opposite side of the entrance. Here you’ll see a selection of tidy eateries, open for breakfast, lunch and dinner serving regional specialties such as caldo de mariscos (seafood soup), coctel de cameron (shrimp cocktail) and everyday favourites such as hamburgers. 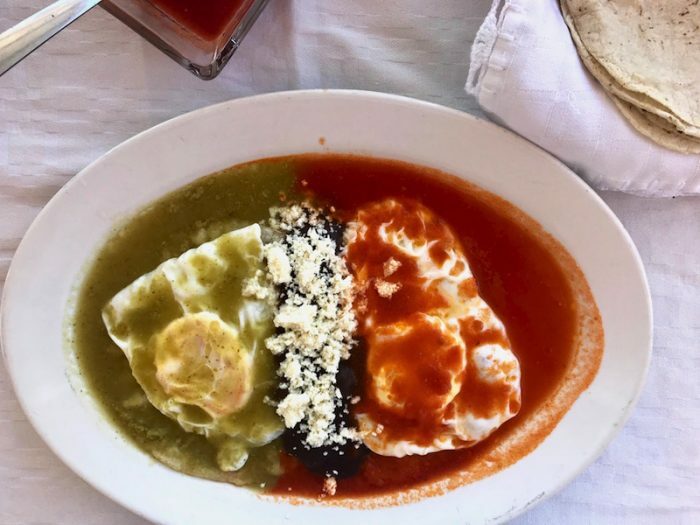 When it comes to choosing the best restaurant for breakfast at Mercado Zicatela, you won’t be disappointed with the choices at Restaurante Doña Claudia. 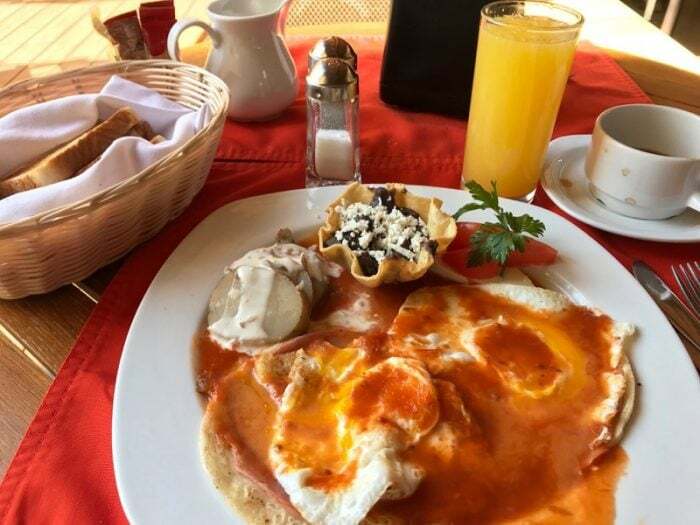 Breakfast menu options include Mexican style eggs bathed in salsa such as huevos divorciados or huevos a la Mexicana ( 50 MXN pesos) which come topped on a tortilla with ham and accompanied by refried beans, cheese and a basket of tortillas. Just ask them to hold the ham if you want the vegetarian version. Other enticing menu options at Restaurante Doña Claudia include chilaquiles verdes o rojos ( 40 MXN pesos and up). 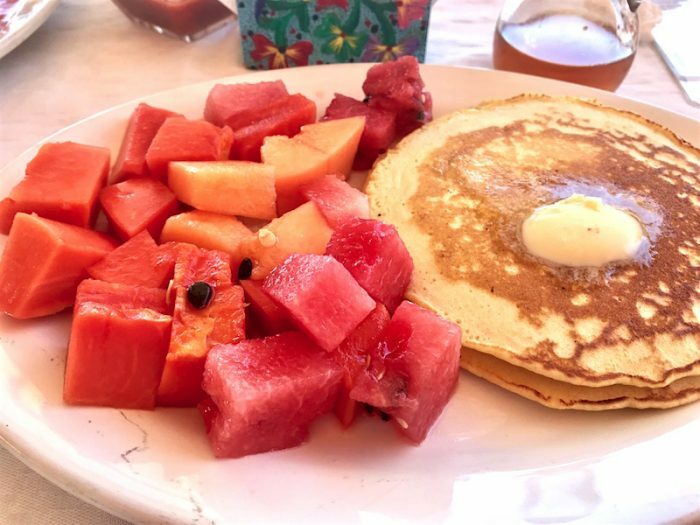 Be sure to order of the fresh seasonal fruit (featuring papaya, melon and pineapple) with pancakes and organic local honey (50 MXN pesos). Fresh squeezed orange juice and Pluma Hidalgo Oaxacan coffee are included with the breakfast packages, which begin at 80 MXN pesos. Take a taxi to Mercado Zicatela from the Rinconada for 40 pesos. Restaurante Doña Claudia serves breakfast all day. You’ll love the inspiring artwork and super-fresh breakfast selections at Los Alebrijes on the Rinconada. This cheerful eatery features imaginative paintings, a lending library and friendly service from owners Letty and Franz. Check the chalk board for the day’s offerings which include a wide selection of omelettes as well as molletes, hot cakes and classic Mexican dishes such as huevos rancheros and chilaquiles. They also whip up what are likely the best crepes in town (nutella anyone?) served with fresh squeezed orange juice or licuados in a rainbow of colours such as strawberry, chocolate and platano. You’ll love the easy on the wallet prices – an order of crepes stuffed with spinach, cheese and mushrooms will set you back just 75 MXN pesos. This oasis of greenery and healthy cuisine, is tucked away on the tiny street that flanks Surf Las Olas Hotel leading away from Zicatela beach. You might never happen upon it if you aren’t looking for it (or hadn’t received a tip from a friend as I did), but it’s well worth seeking out. Go through the shop to the rear of the building to discover the restaurant set beneath an canopy of trees and surrounded by swaying bamboo, tinkling wind chimes and natural stone walls. It’s hard to imagine such a light and airy setting just steps from the beach. Begin by browsing the selection of teas ( both hot and iced), coffees and smoothies (40 MXN) pesos in delicious flavours such as banana, vanilla, strawberry with coconut milk, and my fave … mango with yogurt, cardamom and honey. Then, head down to the bagel section of the menu where there are nine varieties of open faced bagels to choose from. 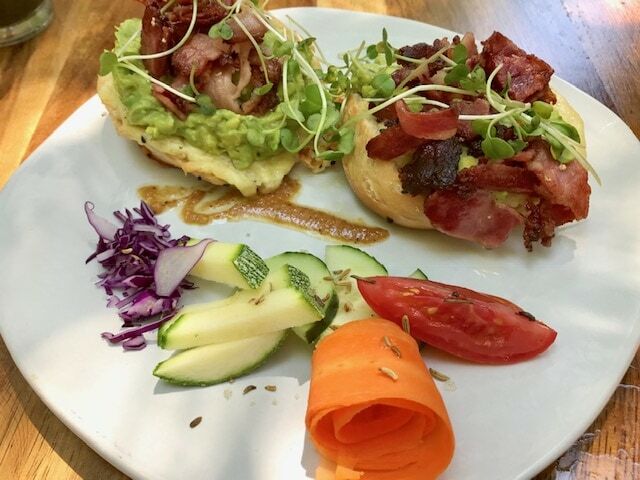 Without a doubt these are the best bagels in Puerto Escondido – they’ve got a nice crispy exterior, a bit of satisfying, chewiness like a Montreal bagel and a soft pillowy interior, which when toasted makes the perfect base for a range of inventive toppings (65 MXN to 80 MXN). In fact, there are so many variations of bagel sandwiches — from smoked tuna to a spinach pate with walnuts — it’s tough to choose just one. They all come with sprouts, micro greens and veggies, which adds a splash of colour and a health boost. A pair of smoothie bowls with kefir & yogurt, fruit and grains, plus eight breakfast options with everything from muesli to poached eggs round out the enticing menu options. Best of all, there are lots of options for vegan and vegetarian diners. 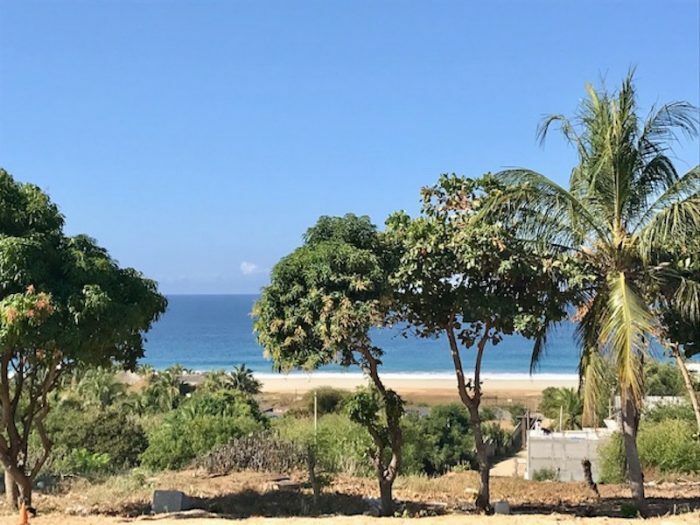 Another feature of the Elephant Garden that quickly vaulted it onto our list of best breakfasts in Puerto Escondido is its warm, welcoming atmosphere and sense of community. The boutique in the front sells artisanal products such as home decor as well as health food products. Find them at Elephant Garden on Facebook or visit them between 8:00 am and 3 pm Thursdays to Monday. You won’t find a better deal on pancakes, bacon and eggs than the Surfer breakfasts at Dan’s Cafe. The coffee is good and strong too, a rarity in town. This breezy corner cafe and restaurant is a mecca for hungry surfers, local business folks and the ex-pat community. If the crowd isn’t at Dan’s Cafe Deluxe for the hearty breakfast and good, strong coffee then they’re there for the fish tacos, served Baja-style with a trio of authentic salsas, on Fridays and Saturdays. I eat them in the late morning and call it brunch. Good, free wifi is another bonus. With a winning combination of beautiful views, the sound of waves tableside and quality cuisine, once you eat at Pez Gallo, located at the Beach Club Villa Sol of Hotel Suites Villasol on Puerto Escondido’s Bacocho Beach you’ll wonder why you didn’t discover it sooner. It’s definitely one of our fave breakfasts in Puerto Escondido. Vegetarians will be pleased with options such as zucchini squash omelet, fluffy waffles and fruit pancakes with apple chutney for breakfast. Unless you want to combine a morning stroll with breakfast, you’ll most likely need to take a taxi. Sooner or later, everyone ends up at El Cafecito. It serves up some of the most popular breakfasts in Puerto Escondido. This restaurant/coffee shop has two locations: One on the Rinconada and the other on the Zicatela strip, each with the same winning formula of great food, reasonable prices and fast service. The breezy Zicatela location with its plentiful ceiling fans is a welcome break from the sun and is prime for people-watching. A continuous parade of beach vendors offering wares such as masks, bobbly head crustaceans and jewelry will keep kids happily entertained. The Rinconada location is near the library so you can pick up a book at the same time. Order the chilaquiles or if you’re just passing by, grab a loaf of satisfying whole-wheat bread or sticky cinnamon bun from the bakery counter to go. The good wifi signals at both restaurant locations makes Cafecito a prime spot for checking email while you sip your coffee. 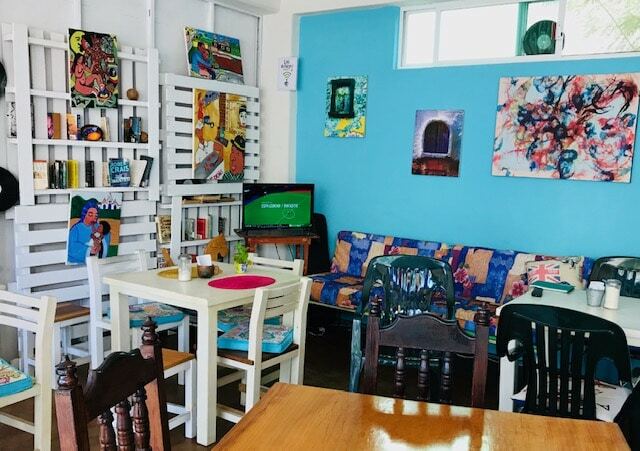 The only challenge is that many other people also think el Cafecito is home to the best breakfast in Puerto Escondido as well, so expect crowds and long line-ups on the weekends. Love coffee? Be sure to take a tour to Pluma Hidalgo to sample Oaxaca’s excellent shade-grown coffee direct from the source. 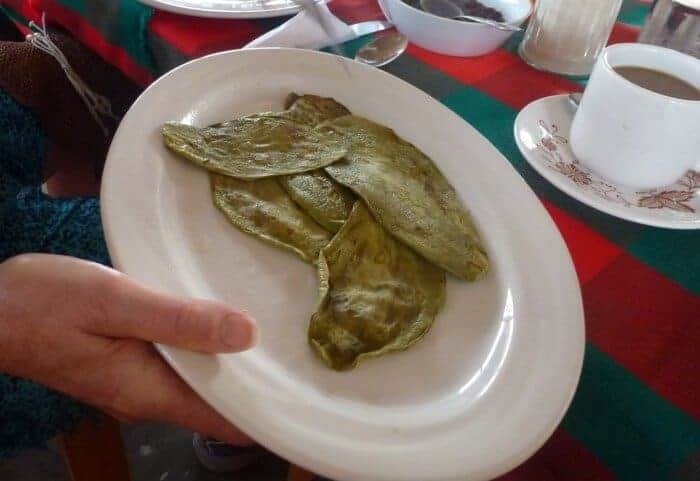 Led by local expert Gina Machorro, this morning walking tour offers an introduction into typical Oaxacan breakfast ingredients such as nopal cactus, tortillas and beans. 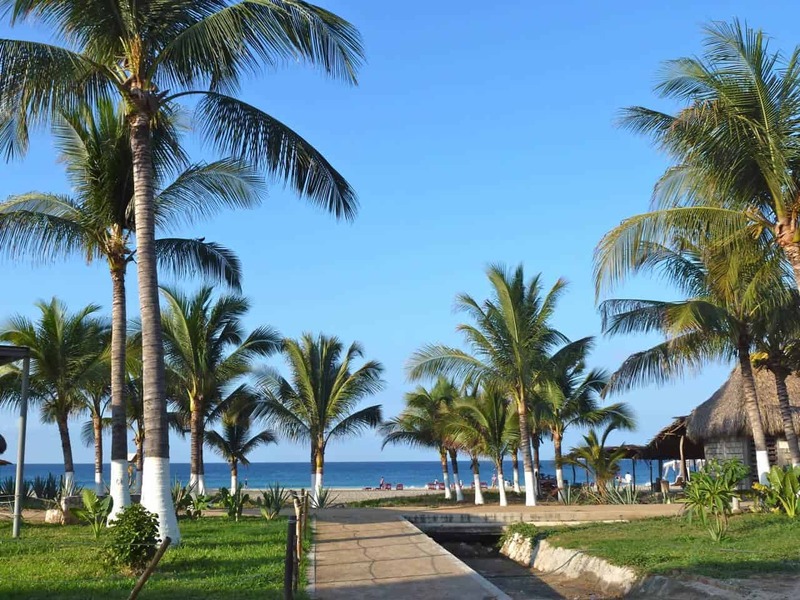 You’ll explore the culinary backstreets of Puerto Escondido visiting a traditional chocolate grinder, the homes of women making tamales and Benito Juarez Market where you’ll explore the indigenous stalls, learning how to identify epazote, pimiento gorda, sapote (mamey) and nance. You’ll come away with a bag of culinary goodies and a whole new appreciation of Puerto Escondido. Usually held on Saturdays 7:45 am but check at Gina’s Information Booth on the Adoquin for times and reservations. Do you have a favourite place for breakfast in Puerto Escondido or other parts of Mexico? If so, let’s hear about it! I love the idea of fish tacos for breakfast. And a food tour that talks to a local fisherman and a chocolate grinder – would love to go on that. I love great breakfasts. Amazing that you can get a classic American breakfast in Puerto Escondido. The Oaxacan at Gina’s tour sounds really good. Thanks for sharing this short list of your favorites. All seem to offer a winning combo of setting and lovely food. I love breakfast! especially in settings like these! Breakfast! My favorite meal! These all look exceptionally good, but what’s not to like about food in Mexico. Lovely photos. Yummmm, I miss Mexican breakfasts so much! No sleeping in in Puerto Escondido with all those delicious breakfast choices!What a great way to start the day! Can’t wait to get down there, Michele! I’ve got the feeling I will never want to leave. Breakfast is my favorite meal of the day. Couple that with the gorgeous setting, I know I wouldn’t want to leave! I love fish tacos but starting off my day with any of the breakfasts that you described sounds like a winner! Mmmm! Those all look delicious and the setting is perfect. Thanks for sharing. Would love to have coffee and any one of these exquisite breakfasts with a view. Wonderful food photography!